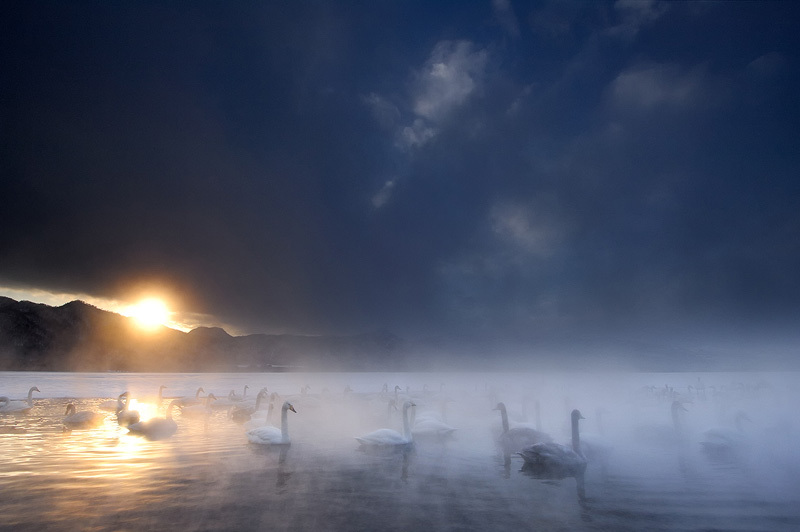 Whooper swans (Cygnus cygnus) on Lake Kussharo, Hokkaido, Japan. The moment I saw this scene, I was immediately taken by the fairy-tale like mood. When I set up my tripod there was hardly any light because of the thick cloud cover, but I decided to wait and hope for the sun to appear from below the clouds, just before it would hide behind the mountains in the background. I was very lucky that it did.